What qualities do you need to cultivate in yourself to be a great parent? 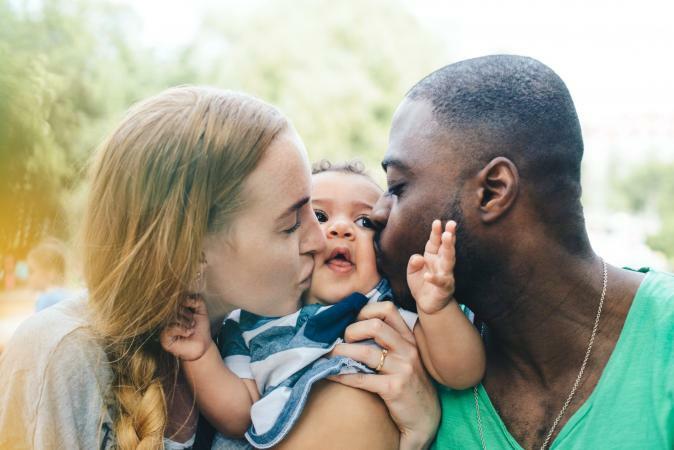 If you're new to the idea of parenting or care to work on improving your parenting skills, you may find yourself asking this just what the characteristics of a good parent are. To prepare yourself for the job ahead or to remind yourself of your parenting priorities, the following traits of a good parent may serve as a helpful guide. Parenting is a journey that takes plenty of patience and understanding, and there's no perfect recipe for what makes a good parent. While some parents follow textbook parenting techniques, others rely on their own instincts to make decisions and handle the behavior of their kids. While much of your parenting journey will vary depending on your child's actions, cultivating the following qualities in yourself will go a long way towards providing your little one with a stable and loving home. It's true, patience is a virtue! After hours of cleaning up toys, spilled milk, and hearing your child ask the same question over and over again, it's no wonder so many adults have a hard time keeping their patience. If you are a single or at-home parent, make sure you have some personal time to yourself to unwind and recollect your thoughts daily. 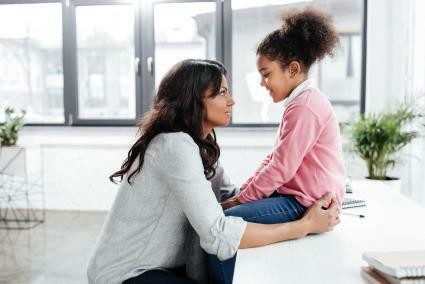 Raising a child who demands attention all day long is sure to test your last nerve, but keep in mind a healthy dose of patience is sure to make the task of parenting that much easier. Try to laugh when you want to scream and find the innocence in his questions and actions. If you act with patience, you'll find your child becomes more at ease being himself in your company. Together, you will grow in a sound and stable environment. While most parents believe they actually listen to their children when they speak, it's not hard to push your kids' short simplistic statements to the back of your mental priority box. Make sure, no matter your children's ages, that you take the time to listen to them. Acknowledging their thoughts will help them develop the confidence they need later to take risks and challenge themselves. Listening only goes so far when understanding isn't attached to it. Make sure when your child speaks, you not only listen but take the time to understand their thoughts, fears and concerns. Understand their worries and woes at home and at school and ensure them that they matter to you. When you understand what's small to you is actually big to her, you reach a level of understanding that is bound to bring you closer together. Life is hard enough for little ones to acclimate to without a barrage of ever-changing rules. Practice consistency, both in their routine and in expectations. Not only does an established routine give children a sense of security, it helps them establish positive habits and can alleviate the chaos that can come with trying to get a small child off to school or daycare. No matter how many positive parenting skills you have, none can rival your ability and willingness to love your children. Make sure you set aside time each and every day to tell her how much you love her. Be it a simple love note in his lunchbox or a long hug and kiss before dropping him off at the sitter, the expression of love is by far the most important skill and trait you can give your child. When a child grows in a family surrounded by love, she is more likely to love in return. The act of loving and expressing gratitude to your child is a gift that should never be withheld. While every other skill can be learned or modified as needed to suit your family's needs, love is the most important skill of all. Being silly and playing with your child can create a special bond between you two. When you're silly with your little one it gives you both the space to explore together and come up with fun games just for the two of you. Being silly is one of the most fun aspects of parenting. It helps you both have fun, releases stress, and boosts levels of joy. For many parents learning how to be flexible is incredibly difficult and not something that they anticipated having to learn prior to having a child. Flexibility in parents is linked to children of all ages having less internalized as well as externalized problems. Flexibility means you are able to roll with whatever comes up with your little one. One day you may think you've got your routine down with them, only to wake up to something completely different. On top of that, growth spurts can cause your little one a lot of discomfort and lead to clinginess for a few days to weeks. Although this is normal, it may take you by surprise and will definitely test your flexibility. Keep in mind that although it's ideal to stick to a routine because it can give your little one comfort, know that this is not possible to do so every day and it's best to let go of the idea that one single rigid routine is best. Creativity is an important skill to have as a parent. Being in touch with your creative side can help you when it comes to discipline, make-believe play time, and most importantly being able to see the world through your child's eyes. Being creative can help you connect with your child and better understand their experience on a daily basis. It can be easy to place your needs on the back burner once your little one arrives. Prioritizing your self-care is a huge protective factor when it comes to raising a healthy child. Parents who appropriately manage their own stress will, in turn, be more relaxed and thoughtful as parents, while simultaneously teaching their child how to regulate their own emotions in a healthy way. Having a child is incredibly demanding, so don't forget to take care of yourself so you can parent as best as you can. There are plenty arguable traits of a good parent depending on who you ask. Some people believe a good parent abides by certain attachment parenting techniques and is heavily involved in his or her child's day-to-day tasks of exploration, while others argue a good parent raises a child who is well mannered, is dressed presentably at all times, and who listens and watches rather than who speaks or explores. Finding the middle ground on your road of parenting will help you and your child achieve the same family goals within a loving home.